Edgar Lion was born to a well-to-do family in Vienna in 1920. He graduated from high school in 1938 and his family sent him to a distant cousin in Edinburgh, where he enrolled at the university in engineering. In May 1940 Edgar was interned as an enemy alien, along with other German and Austrian nationals living in Britain. He spent some time in the Huyton internment camp near Liverpool, then was sent to the Isle of Man. From there he was shipped to Canada, as were a number of Jewish refugees of German or Austrian origin. He was first interned in Trois-Rivières, Quebec, then in Camp B in New Brunswick, where the internees worked as lumberjacks. Edgar found out he had distant relatives in Montreal who could sponsor him, and he was released from internment in December 1941. 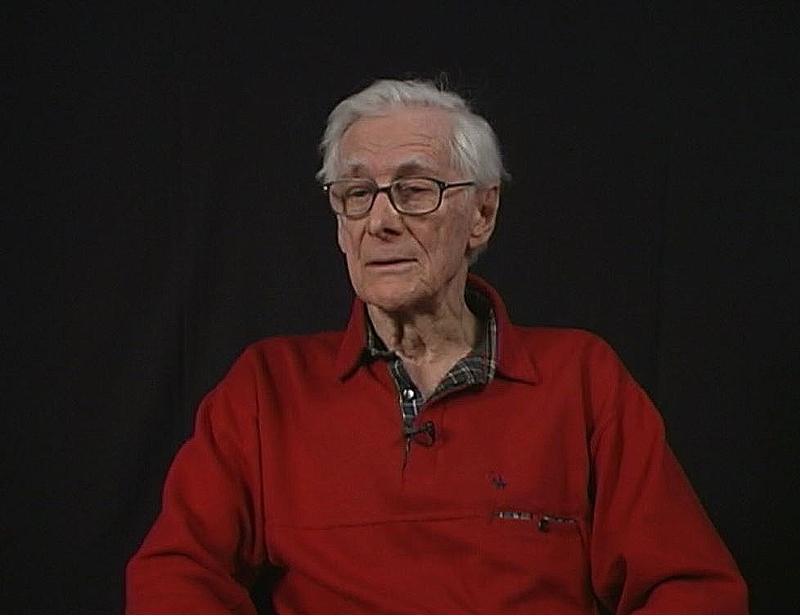 He started to study civil engineering at McGill University in 1942, and completed his degree three years later. After graduation, Edgar worked as construction management consultant. When he had saved enough money to rent an apartment, he brought his parents to live with him. He got married and had three children. Edgar is a volunteer speaker at the Montreal Holocaust Museum, sharing his story with students.